COVES is connecting with museums across the country to offer our services, join forces, and help the museum community better hear from, learn from, and respond to our visitors. As we work to bring more museums into the COVES family, we often hear that the COVES initiative is too expensive or time consuming for some organizations. As you know, COVES is an ongoing, continuous data gathering process that allows museums to monitor their visitors’ experiences on a monthly basis. Since we are a collaborative project, museums are also able to compare their visitors’ responses with other museums. 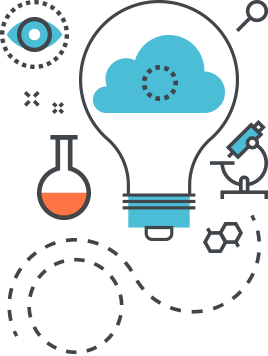 Each COVES museum staffs the ongoing data collection process and pays for a portion of the data collection software and the analysis and project support team, which we realize may not be possible for some organizations. So, though COVES is the strongest system for gathering and taking action on visitor data across the museum field, it is also the most resource-heavy to sustain that data collection and review process. Sadly, we may not be the best match for you or your museum right now. If you work at or run a museum that is not yet ready to jump into a long-term relationship with us, regardless of the reason, know that we still love you and wish you the best in the world. To show our love, we offer this small token of our affection: other options for integrating evaluation into your practice. In 2010, evaluators and museum staff from across Denver came together to talk about studies, their visitors, and questions they were grappling with within their museums. For two years, without funding, various professionals from across 15 informal learning organizations (gardens, historic sites, art museums, zoos, and natural history museums) came together regularly to talk about evaluation projects, teach each other about different data collection methods, and craft shared studies so they could all gather data. With IMLS funding, the Denver Evaluation Network (DEN) became a codified collective seeking to gather data about Denver visitors, train more informal learning organization staff on evaluation, and produce a series of resources that other communities could use to replicate the model. The DEN still exists today! Post IMLS-funding, the collective is regrouping and working on completing more city-wide studies of their visitors. If you want to know more about the processes they have tested and put in place to build their community of evaluators, their skills and practices, and their ongoing meetings and initiatives, check out their website. 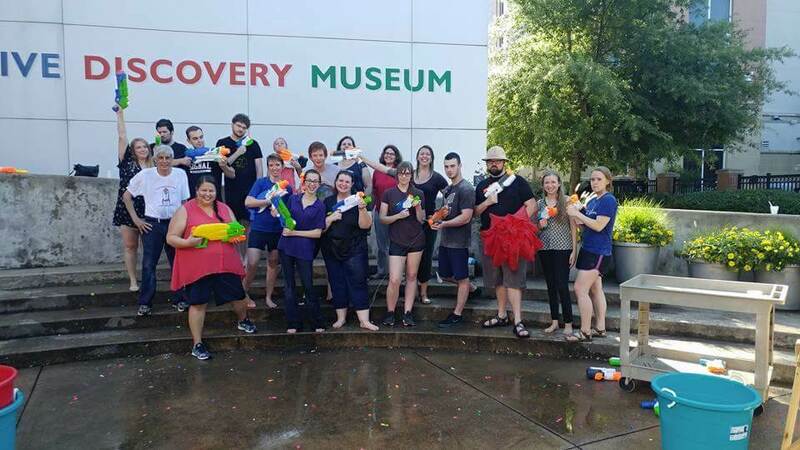 The Creative Discovery Museum (CDM) is using an IMLS grant to build the evaluation capacity of their staff and within their community. Building on aspects of the DEN process and hiring an evaluation firm to run evaluation trainings focused on CDM’s efforts, the organization has identified the need, and created the space, for a full-time internal evaluator. They are currently finishing up the three-year IMLS grant (consider applying for your own evaluation support grant! ), and Aubrey will happily tell you about their journey of developing the skills, interests, and development processes to incorporate evaluation across the museum. Even if you can’t hire someone, even if you don’t know anyone else in your community who is interested in evaluation or will talk with you about your questions about your visitors, you and your colleagues can STILL DO IT! 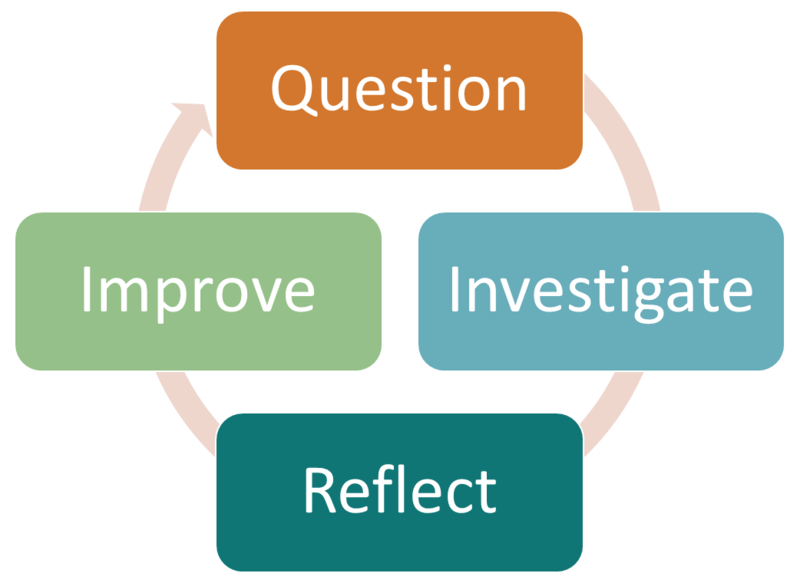 The TBI evaluation cycle, courtesy Sarah Cohn. by museum evaluators and professionals to support the fast-paced project development process in museums. 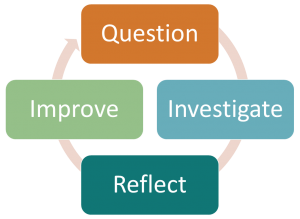 The evaluation cycle is built to reflect the way we all build, reflect on, refine, and improve our offerings and museum experiences while making it all a bit more systematic and transparent. Even if you can’t join COVES, you can use TBI and start working your way to becoming COVES-ready. So, we love you. We respect you and honor where you’re at in your evaluation journey. We’re here, supporting and cheering for you from the sidelines, and we’ll still be here when you’re ready for us and the journey we want to take with you to explore your visitors’ experiences.